Still searching for your ideal retirement spot? If you're in the market for a move, look at these states that offer extra financial incentives to help stretch your retirement dollars! There are seven states that do not impose a state income tax. Alaska, Florida, Nevada, South Dakota, Texas, Washington, and Wyoming have no state income tax. That means at the end of the fiscal year you will only have to file your federal tax return. No taxes are withheld or owed at the state level for these seven states! New Hampshire and Tennessee do not tax salaries or wages. Taxes are owed on interest income and dividend income only, above a certain earnings threshold. Alaska, Delaware, Montana, New Hampshire, and Oregon do not have a state sales tax. Some municipalities in these states do impose a local tax and/or fees on certain items. Common items that are associated with fees in these states are: vehicles, tourism related sales (hotel rooms, attraction tickets, etc. ), "sin tax" items (alcohol, tobacco, gambling, etc. ), prepared food (restaurants, takeout, premade grocery meals, etc. ), and telecommunications (phone, cable, and internet). Hands down, Alaska has the best financial incentives to attract new residents! No state income tax, no state sales tax, and many municipalities do not even impose a local tax! In addition to the tax breaks, Alaska residents get a pretty hefty yearly check from oil investment funds. If you live near one of the bigger cities health care is fantastic and you will have access to almost everything the lower 48 have. Yes, it is cold most of the year, but the natural beauty of Alaska may be well worth the winter chill! Not a cold weather person? Many states and municipalities in the lower 48, typically in more sparsely populated areas, have a multitude of short term offers enticing people to move there. Enticing property offers including free land, large mortgage rebates, and substantial forgivable loans. These types of incentives are popular in rural areas as well as some metro areas seeking revitalization. If you are planning on a move, make certain you are researching places that have a variety of health care options, good infrastructure, and easy access to all the things you want and enjoy. Don't forget the intangible factors such as distance to family, accessibility for visitors, and enjoyment of your favorite past times. Many local governments have assistance for property tax payments. If you are over a certain age or under a particular income level, you may qualify for a lower property tax rate. These same age/income programs also exist in a variety of forms through local governments and private vendors for a variety of services including: electric, water, sewer, trash, and telecommunications. 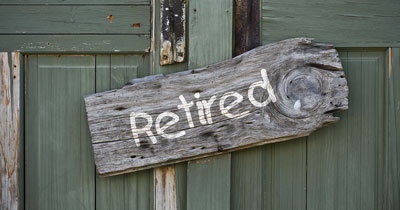 Try to plan ahead, but be accepting of unforeseen changes to your master retirement plan! If you have the luxury of living somewhere short term, or taking an extended vacation to a hopeful retirement spot, take advantage of the opportunity (even if it means an extra expense). One busy hurricane season may change your mind about moving to Florida. A year of climbing stairs may have you second guessing your retirement plan of being able to fish from your balcony. You may or may not appreciate having your pet options and fence color dictated by an HOA. You may realize that island lore is, in fact, true: when you live on an island people rarely come visit (for some this is an incentive!) If and when you're ready to make the move, where ever it may be, hire a moving company. You've earned it!